rom traditional and gourmet coal fired pizzas, to specialty salads and sandwiches, and authentic Italian cuisine, Bocca's menu selections will satisfy any appetite. Throwing a Party? Don't Have the time to prepare and do all the cooking? 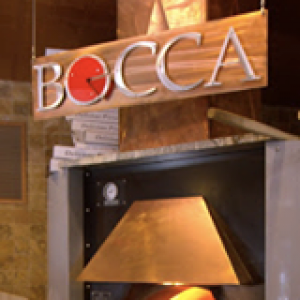 Let Bocca handle all your needs. From kids birthday parties, graduations or large events.